We began the Skid School essential skills development program for youthful drivers in 1996, working with Cooperative Insurance in Middlebury, VT. The core skills of the program were taken from our Police Emergency Skills Training at the Vermont Police Academy, where we taught for over 30 years. Our goal was twofold; to produce newly licensed drivers who could be depended upon to handle an emergency such as a deer in the road or a car running a stop sign in front of them, and to produce new drivers whose judgment and decision-making skills reflected a maturity we expect from adult drivers with good driving records. First, we narrowed our program to include only essential avoidance skills, and used those training experiences to reinforce broader safety themes, such as seat belt use and the dangers of distractions. Second, we kept records. The Vermont Center for Justice Research undertook a two-year study of 142 youthful drivers either on permits or within weeks of licensure at the time of training. The study is comprised of a representative social and economic sample of Vermont teens who were trained in April, 2006 in Barre-Montpelier. Robin Adler of the Vermont Center for Justice Research did report to us that not one of the 142 drivers was the at-fault driver in a police-reported crash in the first six months of the study. The current study confirms what we have seen for years from the data of our oldest clients, who are primarily from the risk-management side of insurance companies that specialize in law enforcement and municipal training. Why do we lose so many teens to fatal car crashes each year? The CDC reports that car crashes are the leading cause of death for U.S. teens. In 2010, seven teens died in a car crash every day. Everybody has a pet theory for reducing youthful driver crashes. Stern lectures, seat belt law enforcement, draconian restrictions, jail time, scary films, crashed cars on display in school parking lots, licensing at 17 or 18 instead of 16, breathtaking insurance premiums... the list is endless. But the problem has remained intractable for over 50 years. To us, crash-reduction is the only measure that matters. Our national driver's education system teaches new drivers the rules of the road, but overlooks the fact that teens need more than just classroom instruction and a few hours of driving under normal road conditions. 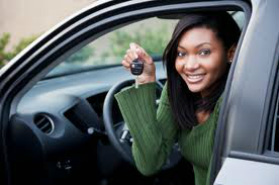 Teens need hands-on experience to prepare for the real dangers of driving. At Skid School, teens practice accident avoidance in a controlled environment; they experience avoidance techniques firsthand and practice over and over again, so when they're on the road in unpredictable real life situations, they know what to do.